Hepatic encephalopathy (HE) (also called portosystemic encephalopathy) is a condition where liver disease affects brain functioning. HE often occurs in people who have diagnoses such as hepatitis or liver cirrhosis. It can also develop as a result of liver cancer. As liver disease progresses, the toxins that a healthy liver should be removing from the blood instead travel to the brain and impact its ability to function normally, think clearly, and remember information. Fortunately, this cause of memory loss is treatable. HE can affect both cognitive and physical abilities. If you have liver disease, you should ask a family member or friend to help you watch for this group of symptoms and report them to your doctor right away for prompt evaluation and treatment. HE can be classified into different stages—also called grades—progressing from minimal to coma. The West Haven Grading System breaks down the stages of HE as follows. Minimal HE may result in subtle, small changes in your ability to think clearly, problem-solve, and remember information. Possible signs can include more difficulty accomplishing tasks at your work or driving infractions due to slower reaction times or decreased coordination. Minimal HE can sometimes escape detection unless a doctor screens for it through cognitive testing. Mild HE may cause some personality or mood changes and a decreased ability to concentrate on a task. Sometimes, problems with sleeping develop at this stage. Challenging or inappropriate behavior may develop in moderate HE. Your memory may become worse, as may your ability to perform math calculations. Writing may be more difficult because your hands may become shaky or jerky. Severe HE may affect orientation. For example, you may be unsure as to what day it is or where you are. Your behavior may become more socially inappropriate and you may feel very sleepy or anxious. Mental and physical ability continue to decline in HE. In this stage, you will lose consciousness and become comatose (unresponsive). How Do I Know If I Have HE? If you're having some of the symptoms described above but don't have problems with your liver, it's likely that your symptoms are triggered by a different cause of forgetfulness. Mental ability changes can be caused by dozens of conditions, some of which are reversible (such as a delirium) and others that are progressive (such as Alzheimer's disease). If you do have a liver condition such as hepatitis or cirrhosis, it is more likely that HE is the cause of your symptoms. 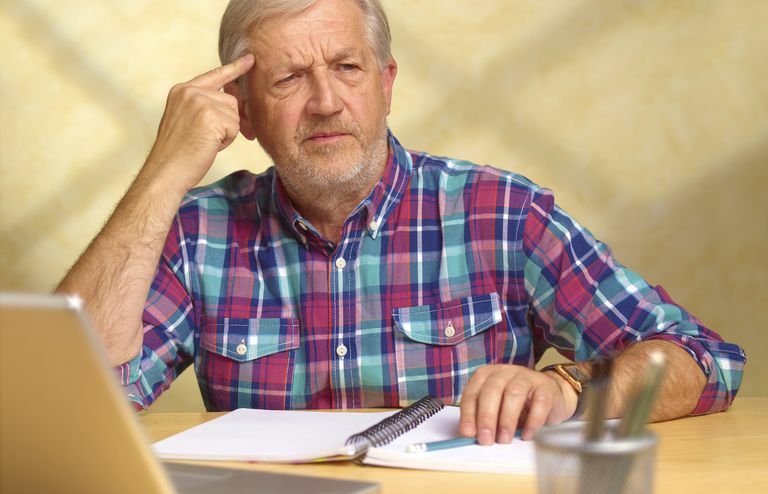 Either way, you should contact your physician right away if you notice mental ability changes because several causes of memory loss have better outcomes if they're caught and treated early. Because HE may go undiagnosed until the later stages, it's difficult to gather accurate data on HE prevalence. Studies suggest that between 30 to 70 percent of people with liver cirrhosis develop HE. HE is generally diagnosed by ruling out other conditions. If symptoms are due to HE, they will often begin to improve as soon as within 72 hours after treatment has begun. Therefore, an improvement after treatment has been started (or lack thereof) is sometimes used to confirm or rule out HE. While HE occurs in people with liver problems, there is often a specific trigger that causes HE to develop. These triggers may include infections, certain medications such as diuretics (medications that cause you to urinate more), dehydration, constipation, drinking too much alcohol, recent surgery, and gastrointestinal (GI) bleeding. Treatment varies depending on if the specific cause of the HE has been identified. Treatment may include antibiotics, discontinuing certain medications that may be causing some of the problems, treating with medications such as lactulose or polyethylene glycol, addressing bleeding problems, reducing ammonia levels, and treating kidney problems. The prognosis of people with HE varies significantly. Some people with HE respond very well to treatment and their normal functioning returns. Others have severe or repeated bouts of HE and may end up hospitalized or in a life-threatening situation. About three quarters of people who have HE will improve if the specific cause of HE is identified and treated in its earlier stages. However, if HE is not treated early enough or doesn't respond to treatment, it can result in death. Because of the success of early treatment, some research suggests that people with liver diseases should routinely be screened for HE through cognitive tests so that HE can be caught and treated before it progresses into the more advanced stages. American Liver Foundation. What are the stages of hepatic encephalopathy? The Cleveland Clinic Foundation. Hepatic Encephalopathy. National Organization for Rare Disorders. Hepatic Encephalopathy. Raphael KC, Matuja SS, Shen NT, Liwa AC, Jaka H. Hepatic Encephalopathy; prevalence, precipitating factors and challenges of management in a resource-limited setting. Journal of Gastrointestinal & Digestive System. 2016;6(3). US National Library of Medicine. Loss of brain function - liver disease. What Types of Memories Are Lost With Dementia? How Can Physical Causes Trigger Challenging Behaviors in Dementia?